SEAtongue specialises in Tamil translation services. With over 10 years’ experience in the industry, we have built up a network of highly trained in-house linguists, business partners and satisfied clients across the world. Because we place our customers at the centre of our practice we are able to offer a unique customised solution whatever language, industry, or specialist knowledge may be required. 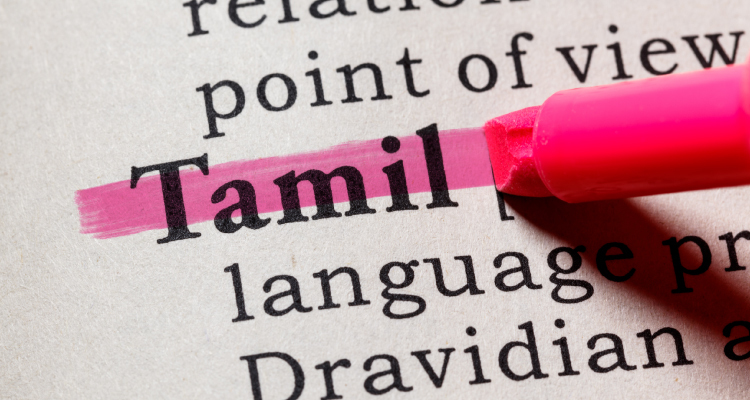 Tamil Language Varieties: Arwi, Bangalore Tamil , Batticaloa Tamil, Brahmin Tamil, Central Tamil , Iyengar Tamil, Jaffna Tamil , Kongu Tamil, Kumari tamil, Lingua Malabar Tamul, Madras Bashai, Madurai Tamil, Negombo Tamil , Sankethi , Sri Lankan Tamil and Tirunelveli Tamil.